Sadly, too many pets are relinquished to shelters needing veterinary care that couldn’t be afforded by their owners. Everyone suffers when this happens. Pets are confused and even sometimes euthanized, owners grieve with heartbreaking guilt, and veterinarians are pained by what could have been done. If you find yourself in this situation, don’t despair. There may be more financial help available to you than you realize. Some veterinarians are willing to work out a discount plan for long-term clients or can work out a payment plan. Also, check with your local animal shelter. Many offer reduced costs at their veterinary clinic. Call your local humane society or shelter. They often offer low cost spay and neuter clinics. 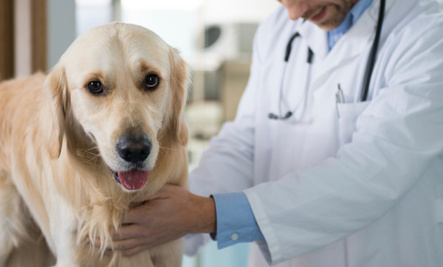 Consider going to a second veterinarian to see if they could offer the procedure or treatment at a lower cost. Check out your local veterinary schools. Many offer low-cost clinics for limited income clients. It may not help immediately, but consider purchasing pet insurance for future health issues that come up. Numerous national organizations provide financial assistance to cash-strapped pet owners. If you’re in need of a temporary loan, consider applying for veterinary financing through Care Credit. It allows you to pay off your veterinary bill monthly and can even be used for annual checkups, medications, and senior care. Be sure to understand their interest rates and loaning conditions. VeterinaryPartner.com also offers a long list of organizations that can help pet parents in need. Their invaluable site even includes organizations offering assistance to disease and breed-specific pets, and regional assistance in the U.S., Australia, and Canada. Some smaller expenses such as dental care are paid in full, and larger expenses such as cancer treatment may be paid in partial. Do you have any additional suggestions for helping other pet parents in financial need? Thanks for adding your suggestions in a comment below. Do Dogs Really See With Their Noses? Delivering Calm, Four Paws at a Time! Receive a FREE DOWNLOAD from the Calm your Canine Companion music series when you sign up for the Through a Dog’s Ear newsletter and/or Lisa’s Blog. Simply click here, enter your email address and a link to the free download will be delivered to your inbox for you and your canine household to enjoy! Stay away from Care Credit unless you want to go bankrupt. I got one because I didn't have enough room on my other cards to save my dog's life. I found out afterwards that if I don't get the whole thing (every last penny) paid off in under 6 months, I will be socked with interest at 29%, starting from DAY ONE! If I don't find a way to get this ALL transferred in a hurry, I'm about to lose everything, because the payments will quadruple at a minimum, and I just can't afford that. I had no idea that there were so many different ways to help subsidize veterinary costs. Hopefully people are able to learn about some of these options and find ways to get the help they need. I know that my pets are just as much a part of my family as any person, and I'm sure anybody else with pets feels the same way. Because of that it only makes sense to do what you can to help them out as much as you can. Very useful info, thank you. Some very good advise thanks .